Four-number domain leads the charts in March. 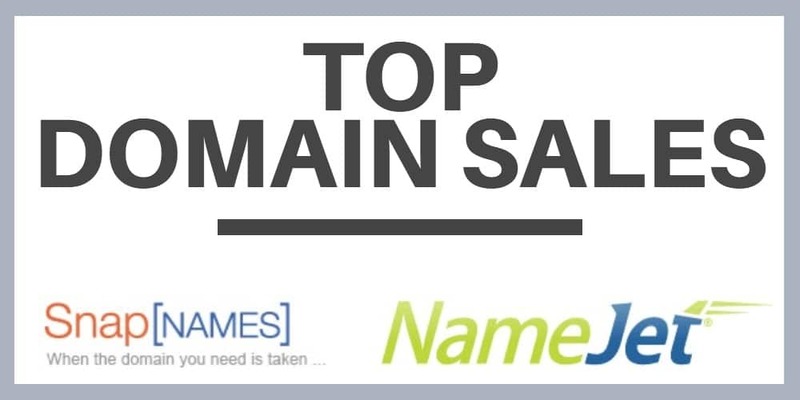 Web.com’s aftermarket platforms NameJet and SnapNames tallied up 97 sales of $2,000 or more last month, led by 4349.com at $35,400. Sales of $2,000+ domains totaled nearly $500,000. DoubleDutch.com $20,000 – The buyer is the co-founder of MarketMuse. I assumed it was someone at the event software company that uses DoubleDutch.me, and maybe there is a connection. iSoft.com $8,910 – i-domains can still sell! Ferocity.com $6,566 – Would make a nice brand; good connotation for aggressive/forward thinking company. Worship.org $4,300 – A nice .org. Stagers.com $3,547 – Great name for a home staging company. LaughTrack.com $2,188 – What a fun name for a comedy site. Here’s the full list of sales. The Double Dutch CEO sits on the board of Market Muse so there you have your connection.